Helicopter - Fully pre-painted and essentially preassembled. Equipped with Turning Rotor Blades and Tail Rotor. Clear-plastic parts for Windshield. plus the neat rear Rescue Hatch can open. Fuselage rendered with fine details, such as the side-mounted Hoist, Tiny Rivets, and Ventilators. Open Windshield just perfect to fitting figures into Cockpit. 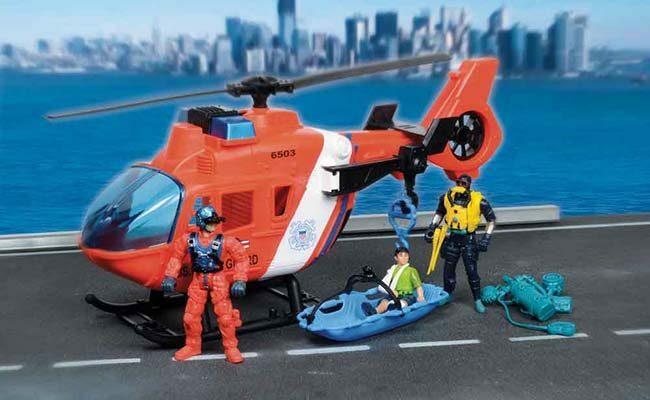 Together, the figures and Helicopter can create an inspiring scene of Cooperation from across the ocean. 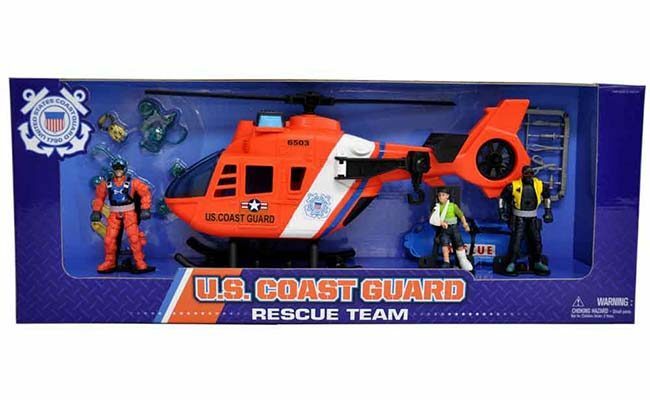 Each U.S. Coast Guard Figure - Wear primarily distinctive Operational Dress Uniform, Reflective Vest, Mask, Mittens, Boots. Hand and feet joints can be manipulated for a greater degree of movement and more realistic figure poses. The extremely dexterous hands are updated with a more natural texture. The item may be produced and designed on the assumption it will be bought solely for display.